Are you tired of the same old furniture and accessories that you find in department and big box stores? All of these stores seem to offer the same things, so you never get a chance to have a unique style of décor in your home. You also end up spending a lot of money on furniture that is not well made and doesn’t last nearly as long as you expect it to. When it comes to unique and well-made items for home décor, Columbus, Ohio furniture shoppers know they are going to find the best furniture and accessories at Amish Originals Furniture Co. in Westerville. You never have to worry about getting stuck with cheap furniture when you shop at Amish Originals. While most items are very affordable, they are also extremely well made. This is because all of the furniture sold here is hand-crafted by members of more than 70 area Amish families. Everyone knows about the great work ethic that the Amish have, and it shows in each and every item in the Amish Originals show room. Each item is hand-crafted, and no power tools are used in the construction. These items are all built to last, and your family will be passing them down from generation to generation. In addition to furnishings for every room in your home, you will also find a variety of other beautiful home décor items at Amish Originals. You will even find decorative items such as mirrors. If you need extra storage in your home, you will find many ideas in the show room, from curio cabinets to gun cabinets and a whole lot more. 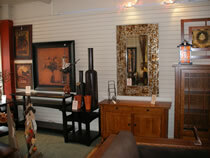 When it comes to home décor Columbus, Ohio shoppers visit Amish Originals first, and don’t have to go anywhere else. If you want to get a taste of what you will find in the show room you can go online to www.amishoriginals.com. Here you can get a good idea of what is available and make a list of all of the things you want. Then, it is just a short drive to the show room where you can make your purchases. Don’t forget to check out the clearance page, where you will find amazing deals on some of the most beautiful furniture in Ohio. You can even add items to a wish list to make things easier when you go shopping. You can have all of your purchases delivered directly to your home for a small charge. You will be given a two-hour window, so you don’t have to wait around all day for your delivery to arrive. If you don’t live in the delivery area, don’t worry. Amish Originals will ship to any location in the continental US. 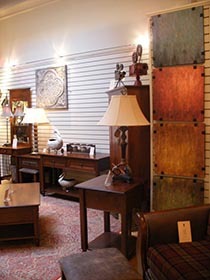 When they need new items for home décor Columbus, Ohio shoppers head straight to Amish Originals Furniture Co. This is where they will find quality furniture that is well-priced. Each item is unique because it is hand made so you can be sure that your home décor will be completely unique to you.